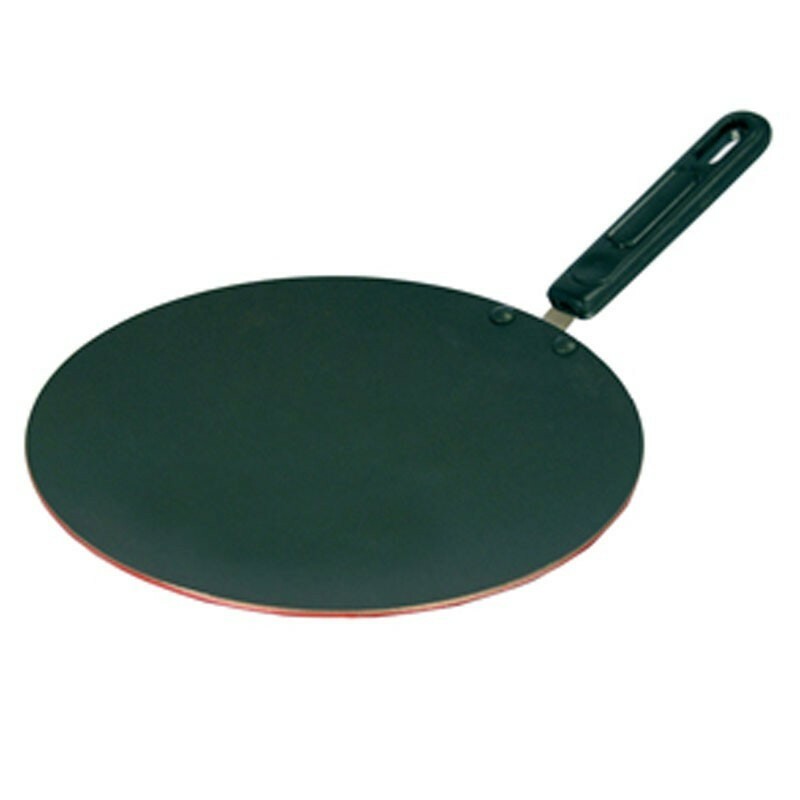 Non-Stick Pathri Tawa from Tuffware India comes in 4mm thickness and 330 mm diameter. 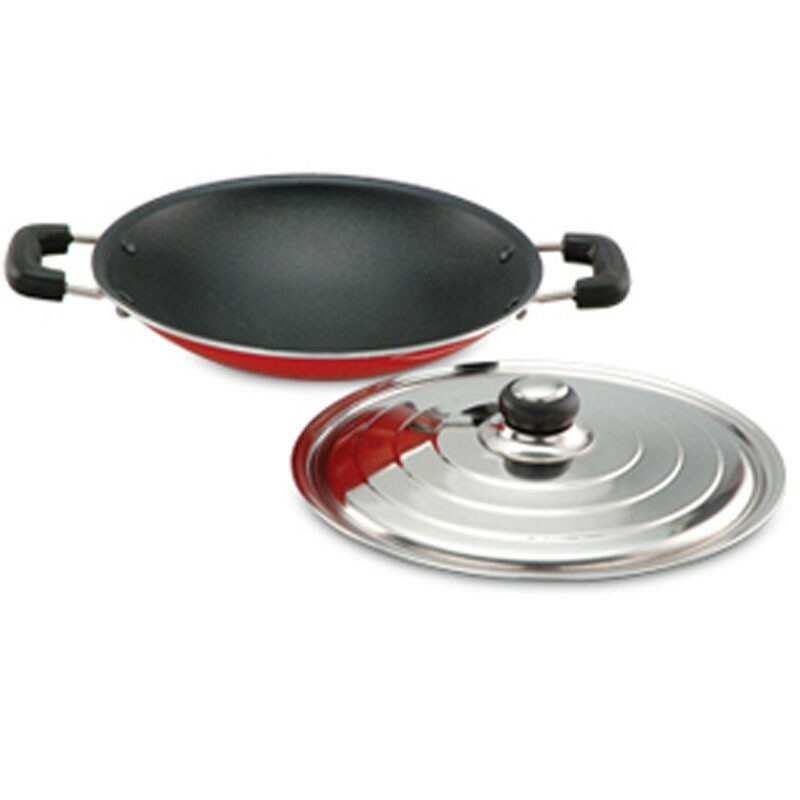 Heats evenly, Cooks Fast, Metal Spoon Friendly. 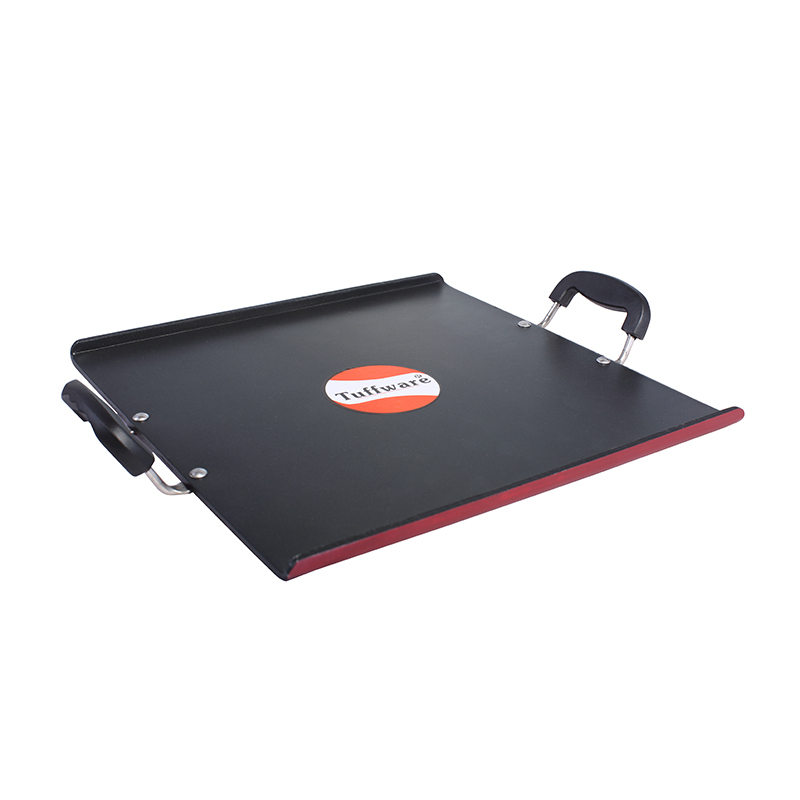 Wide and flat surface lets it closer to the gas burner and helps in uniform cooking. 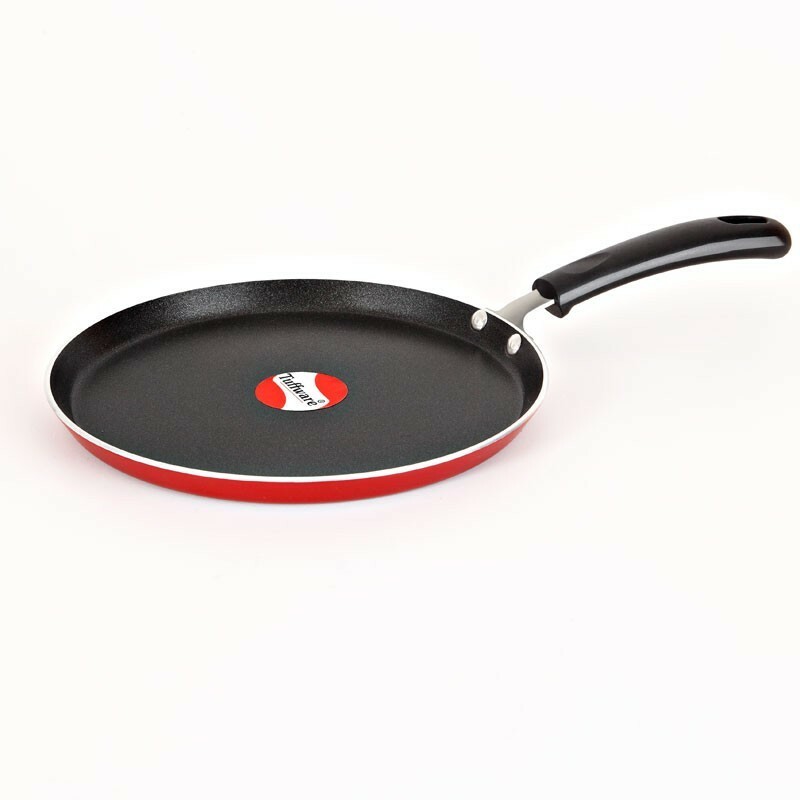 It is PFOA Free and has durable handles.